Experience the “cultural phenomenon” with Premium Tickets. The absolute best center orchestra seats in the theatre. Signed Performance on April 20th at 2PM on sale now! Available at the Gershwin Theatre box office with a valid college, university, or military ID. Behind the Emerald Curtain takes newcomers and diehard fans alike through the ultimate behind-the-scenes experience at the Gershwin, led by WICKED’s own cast members. By clicking the “GET PREMIUM TICKETS” button below, you will be taken to Ticketmaster to buy tickets. Tickets at the student and military rates are currently available through April 14 for Tuesday – Thursday evening performances only. Please check our calendar for the performance schedule. Tickets at the student ($69) and military ($79) rates are available in-person at the Gershwin Theatre box office with a valid college, university, or military ID. Tickets at the military rate are also available online at www.GovX.com. Subject to availability. Limit 2 tickets per ID. Special gift envelopes are now available at the Box Office! 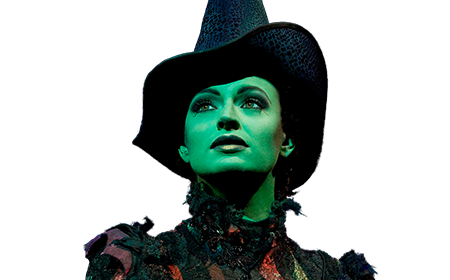 Visit The Gershwin Theatre at 222 W 51st St, New York, NY 10019 today and give the gift of WICKED. Behind the Emerald Curtain is an exclusive behind-the-scenes look at WICKED run by WICKED cast members. This event is great for die-hard Broadway fans and newcomers alike. Even if you haven’t seen WICKED, you’ll be fascinated by the details and complexities that go into a major Broadway production. Your guides will take you through the creative process of a Broadway show, giving first-hand accounts of the birth of a new musical. Participants take a guided tour through the exclusive Behind the Emerald Curtain Museum, which includes an elaborate set model by Tony Award® winner Eugene Lee and an up-close look at some of Tony Award® winner Susan Hilferty’s costumes (with beautiful details that are not always visible from the audience), as well as actual props and wigs from the show. Behind the Emerald Curtain also highlights the work of the 125 people it takes to make every performance of WICKED happen. Each event concludes with a Q+A session with cast members, where you will have the opportunity to find out more about WICKED specifically and show business in general. Participants also have a chance to purchase exclusive merchandise only available at Behind the Emerald Curtain. 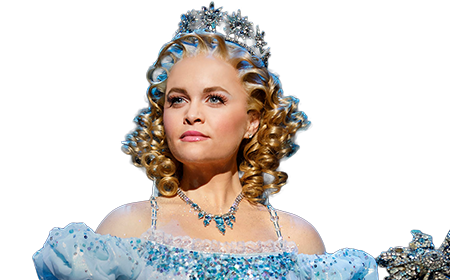 This summer, don’t miss WICKED cast members performing beyond the Gershwin Theatre. They will be at The Pierre on August 20. For theatregoers who are Deaf and use American Sign Language as their primary means of communication, a team of experienced theatre interpreters stand to the side of the stage and translate what the actors are saying or singing into American Sign Language (ASL). Click HERE to get Tickets.